IF YOU BOOK THIS BOAT ONLINE SKIPPER SERVICE IS ONLY 40€/day! REQUIRED / License is not required with our skipper! 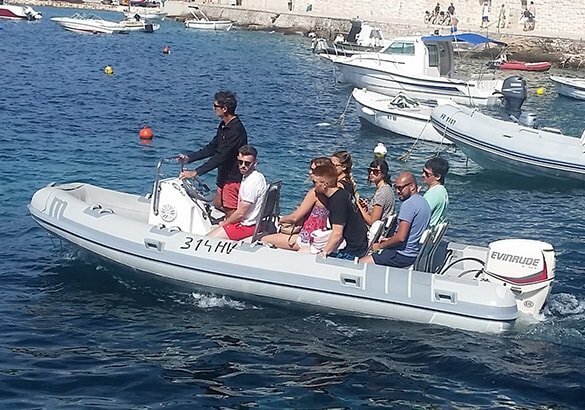 In case not valid license or if you have a valid license, but in test drive you don't show practical knowledge of driving a boat, we cannot rent your boat alone, in this case we offer our skipper for 40€/day. If skipper is with you, damage deposit is not necessary. Fuel is not included in price, customers will get a boat with full fuel tank and need to return the boat with full fuel tank. 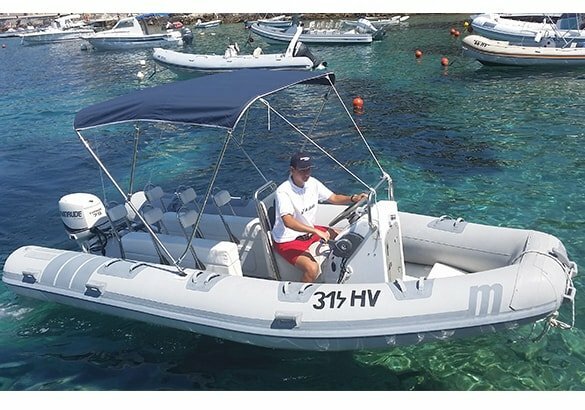 You can pay full amount or deposit (30%) online for this boat. If you pay deposit, upon your arrival you will pay the remaining amount. Keep in mind, during bad weather or rainy day our boats are not available for safety reasons. 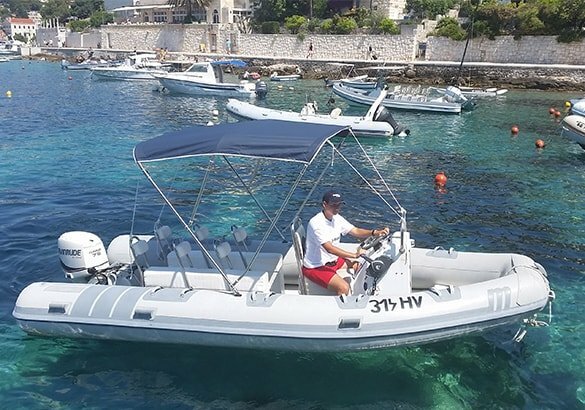 Boats are located in Hvar Town, if guest have mooring place in front apartment they are responsible for any boat damage while on that mooring.. However, if the guest does not have mooring place, he or she can return the boat to us during night, and pick it up the next day. We reserve the right to reject mooring place on location that we consider not secured. For multiple days booking damage deposit is 50% higher. We can provide you water sport equipment such as tube, wake-board and water skis (40€/day).